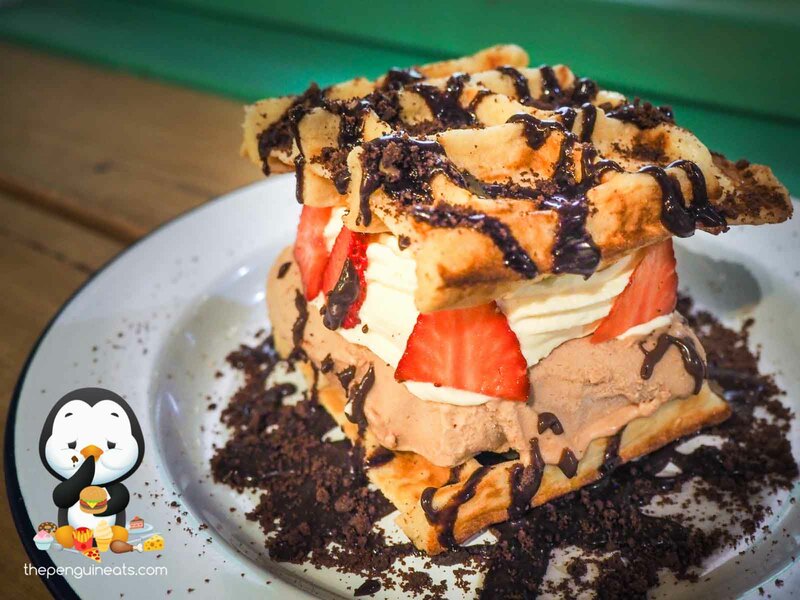 The Nutella Parfait sandwich between the waffles were simply delicious. With a beautifully smooth and rich consistency, the Nutella and hazelnut flavour was bold and forward. Combined with an abundance of whipped cream, it was an incredibly smooth and creamy dessert. Unfortunately, the waffles this time was not up to scratch. 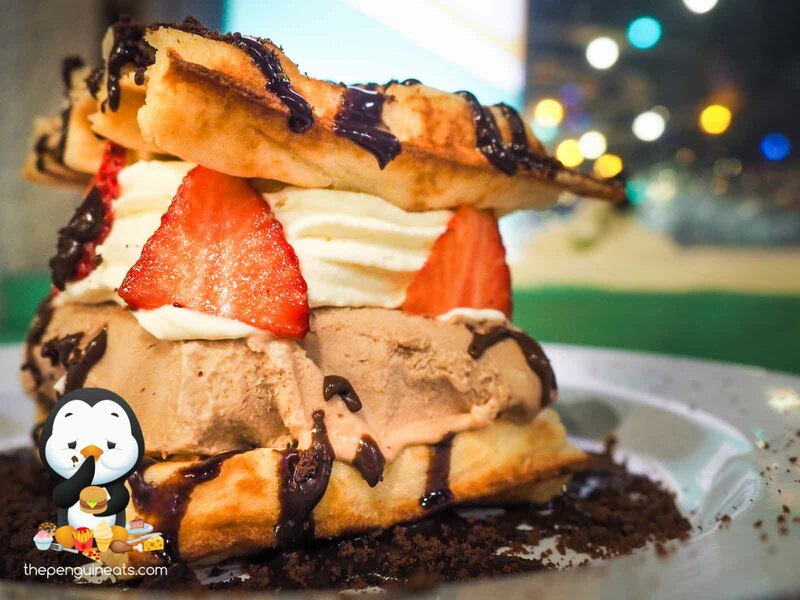 Slightly oily with a hint of savoury aftertaste, these waffles weren't the freshest. It also seemed like they were placed on a grill along with everything else on the menu, which resulted in the weird, oily aroma. 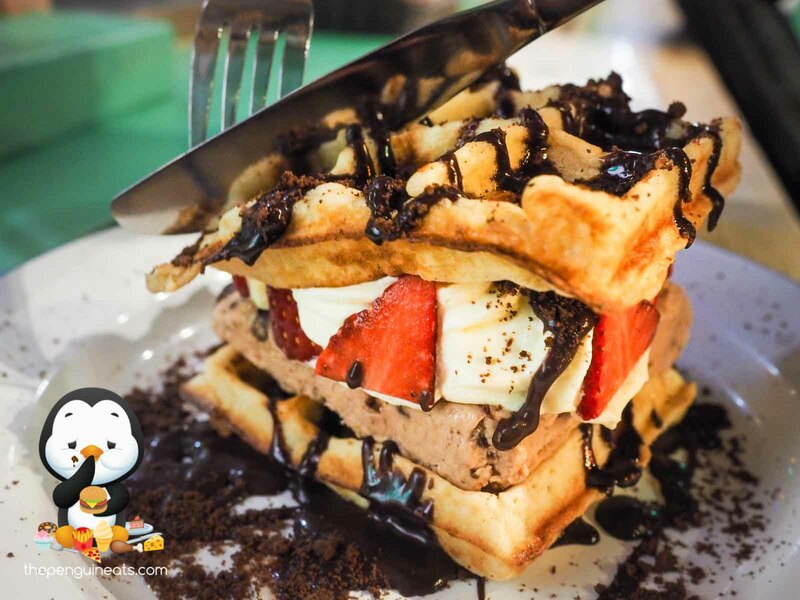 While the Nutella Parfait within was thoroughly excellent and flawless in and of itself, same could not be said for the waffles. Overall though, it was an enjoyable, and sinful sweet treat. Absolutely, Though I think I'm gonna stick with the burgers next time, as those are absolutely spot on.